A couple of weeks ago, I published a post asking people what breeds they thought might be present in Faolan. 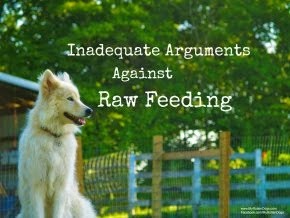 I got expected answers-husky, GSD, and a couple of people stated collie, which I had pondered before. I ran a Wisdom Panel on him, and recently received my results. Compared to Neeko's results, I was kind of disappointed. According to our Wisdom Panel results, he is apparently TOO mixed to tell. 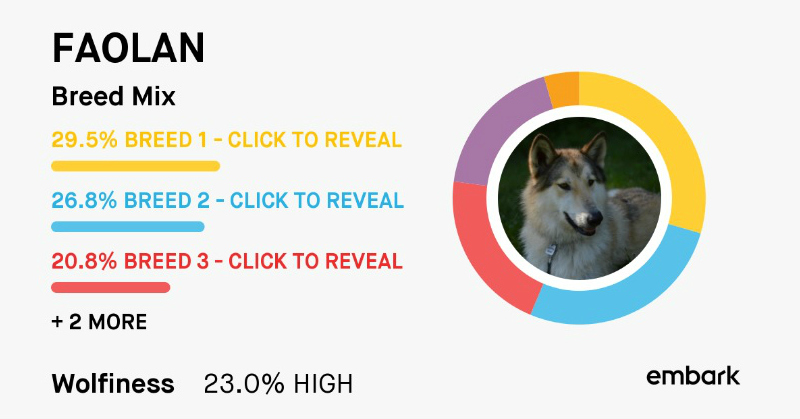 According to this infographic, Faolan is 12.5% Alaskan Malamute, 12.5% German Shepherd, 12.5% Golden Retriever, and 62.5% unknown/mixed breed. I was expecting German Shepherd, perhaps a bit more than what was detected. The Alaskan Malamute came as a surprise, because of size. I was expecting to see some Siberian Husky present. Faolan is about 28" at the shoulder, and weighs approximately 65 lbs. 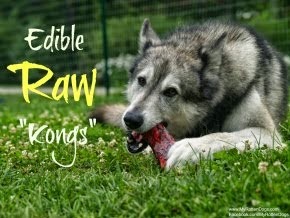 Sibes and Malamutes are both considered ancient breeds (There is an awesome post regarding ancient breeds on Pawsitively Pets), so perhaps they share some genetic markers. The Golden Retriever really threw me off. 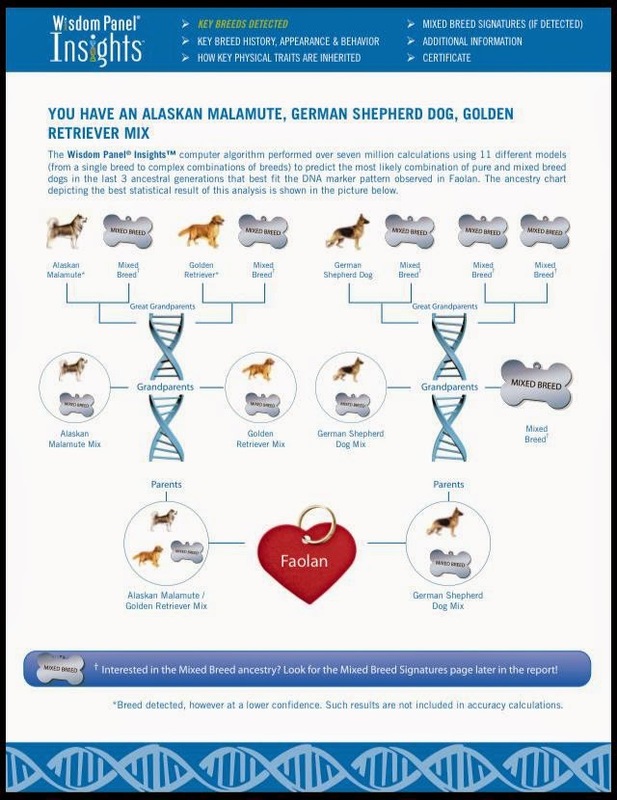 It does have an asterix next to it, indicated the breed was detected at a "lower confidence." When I told my (Golden Retriever lover and rescuer) friend and former neighbor about this, she exclaimed, "That's why he is so sweet!" While Faolan definitely has some wolf content, I am sure it is not 62.5%, and this number is not meant to imply that. It just means he is a true shelter special, a Heinz 57, all-American mutt. And I would not change him for the world. Yes but a Heinz 57 are the best as they are unique and you can't beat that. We love all mutts. Have a wonderful Wednesday. That was really interesting. He is beautiful no matter what. Faolan is 100% beautiful. I don't see the retriever at all! Fascinating! Did they include a list of "likely" mixed breed contributors? We got that with Lucas, and I thought that was fun to look at. He's gorgeous, and I just love those all-American mutts! Whatever he is, he is a GORGEOUS dog! Such a striking face and features. If I saw him from a distance, I'd probably guess husky x German shepherd (even if he carries some low-content wolf-dog looks!). No matter what manner of mixed breed he is...he is still a super handsome pup! Very interesting! Like everyone else, I think he's 100% handsome! I guess his results makes sense. I think it's so interesting. I'm glad you at least have a few breeds identified. I was disappointed with Ace's results, too. It said each parent was a quarter Lab and the rest was "mixed breed," making my dog a "Lab mix." Well ... I could've told ya that! I've been wanting to do that, but the hubs is not interested. (Which is funny, cuz he works for the company that makes the machines that all the other companies run those types of tests on...) Anyway, he's just not int'd. And I worry I'd get that same "too mixed to really tell" result, which is a bit of a disappointment. Whatever he is, he's gorgeous! He definitely looks wolf-y and GSD-y and Malamute-y. Would never have guessed Golden! Anyway, he's beautiful! Golden would of thrown me off too. He is a very handsome guy!